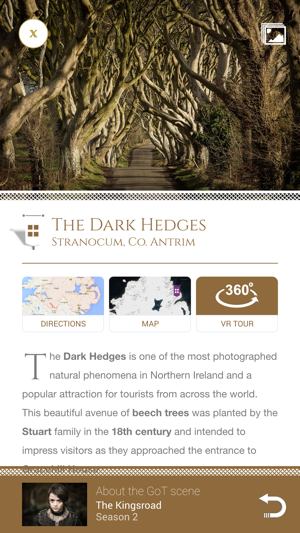 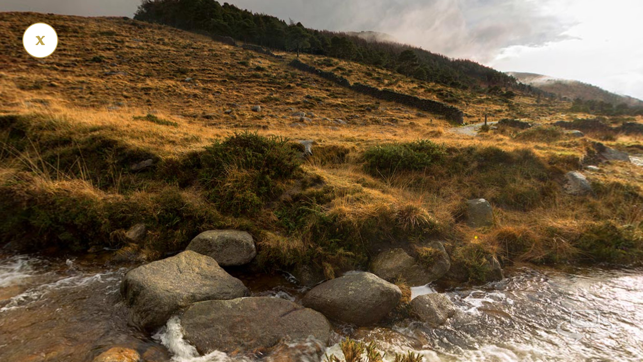 Travel the continents of Game of Thrones and discover their real-life counterparts in Northern Ireland. 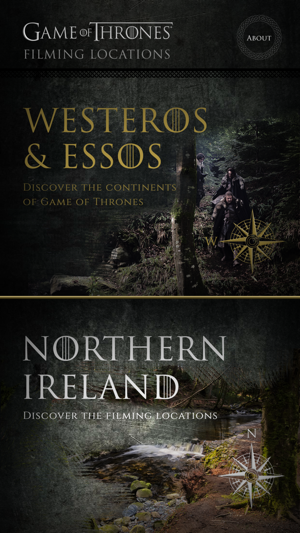 Find out which scenes filmed where, learn about the filming locations and plot them on the map. 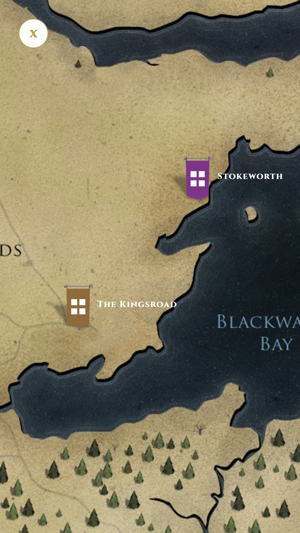 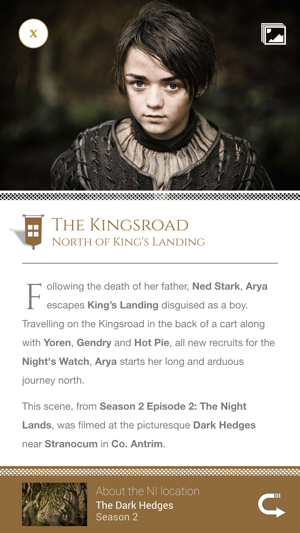 Plan your trip and jump into Game of Thrones territory in the “real” Westeros!